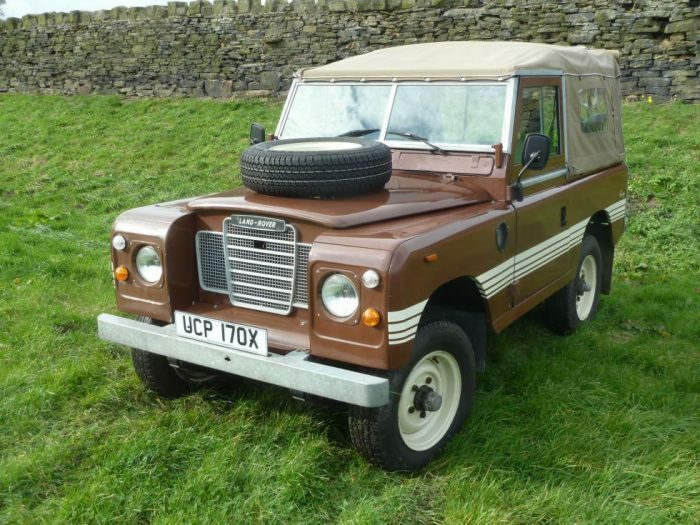 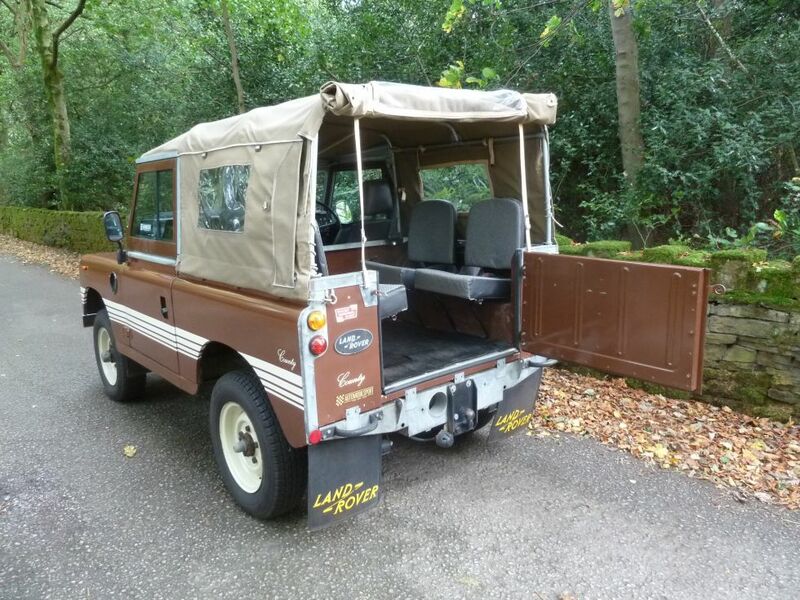 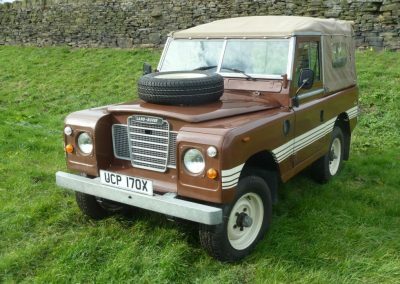 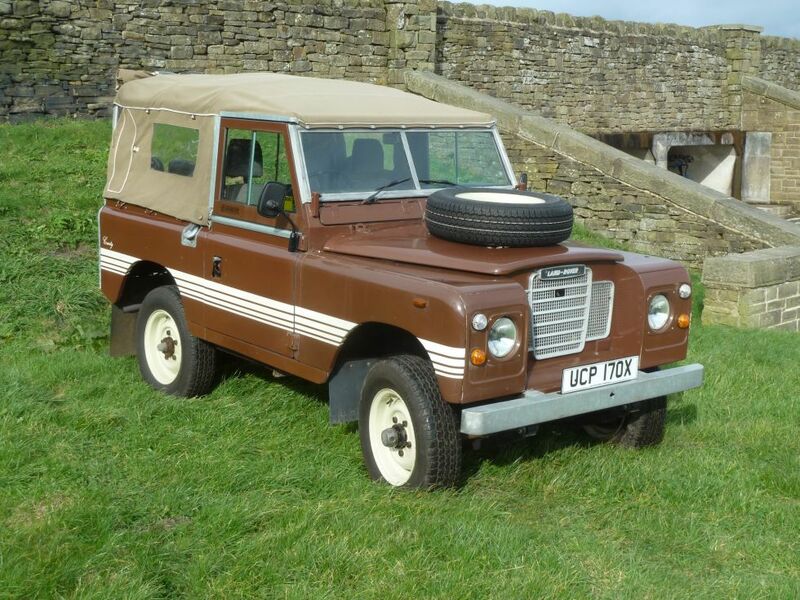 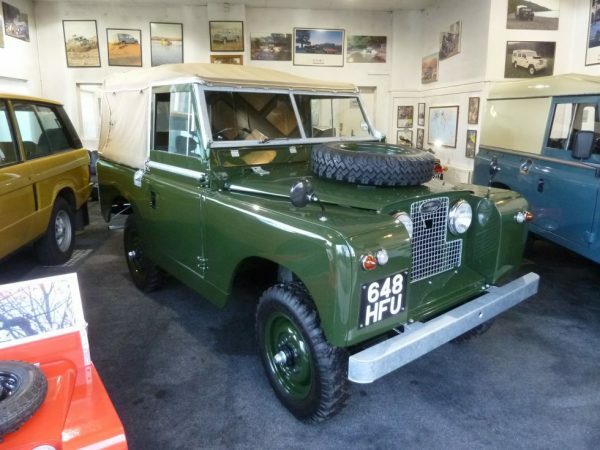 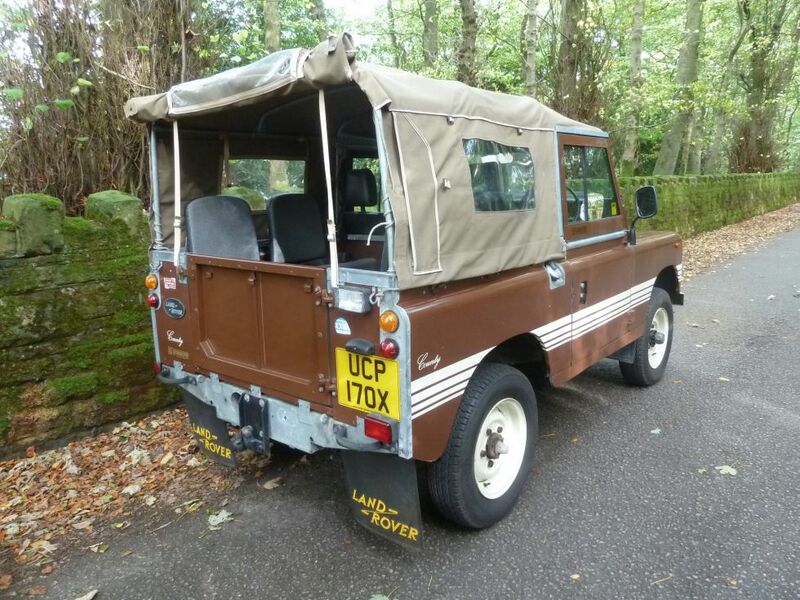 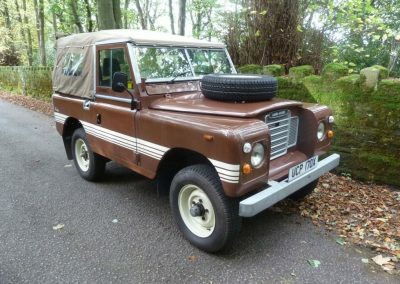 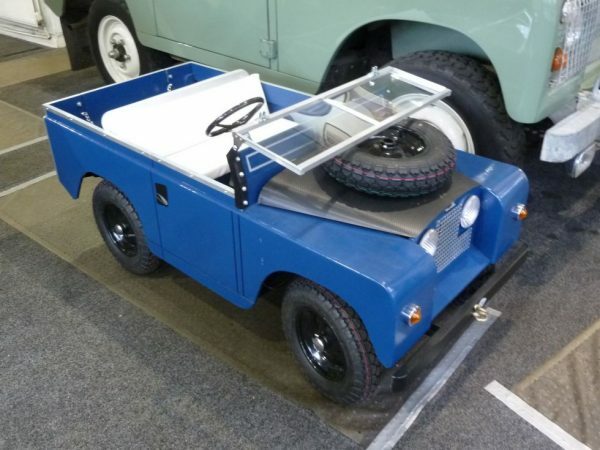 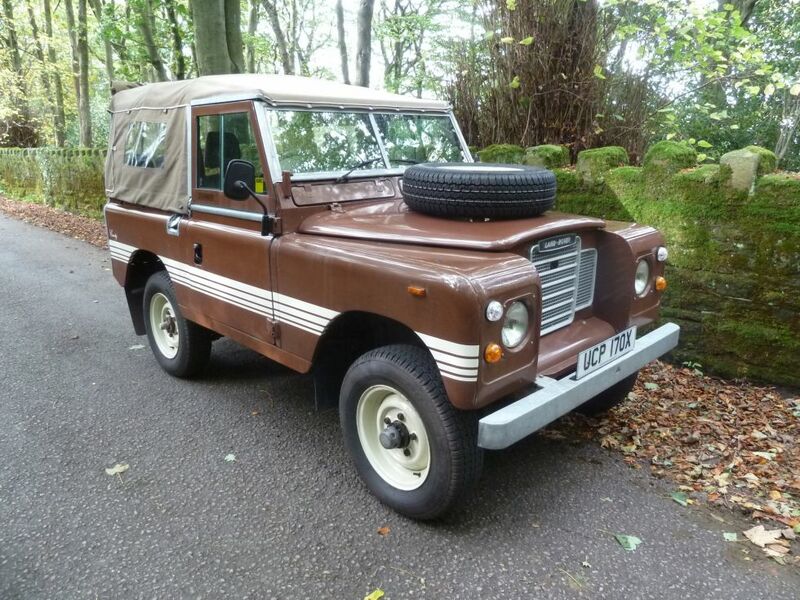 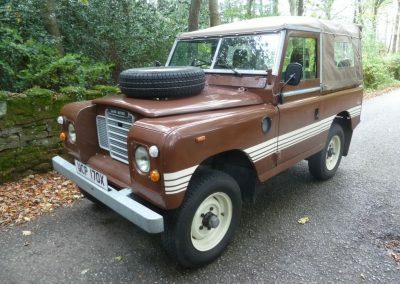 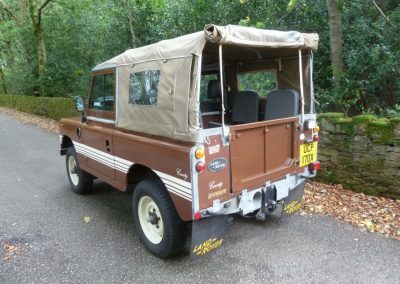 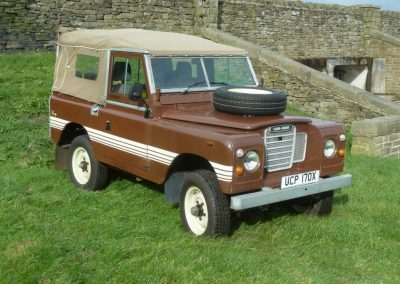 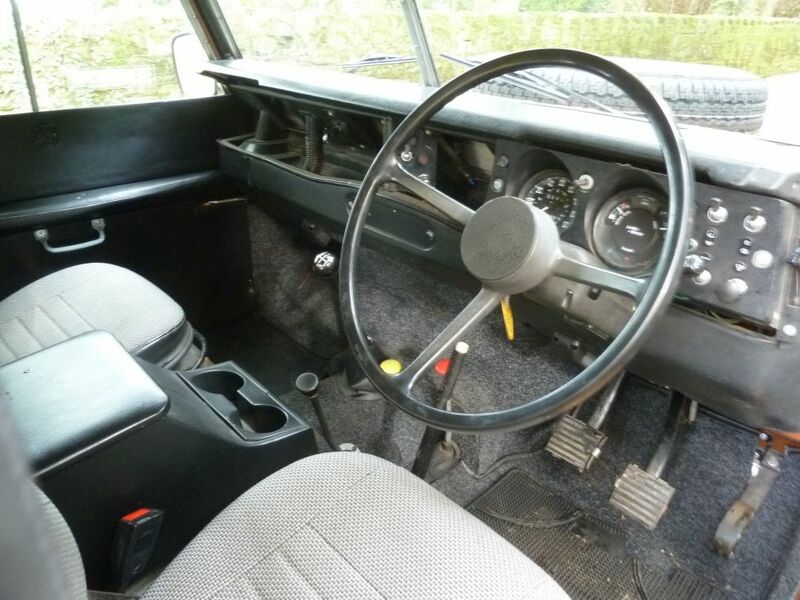 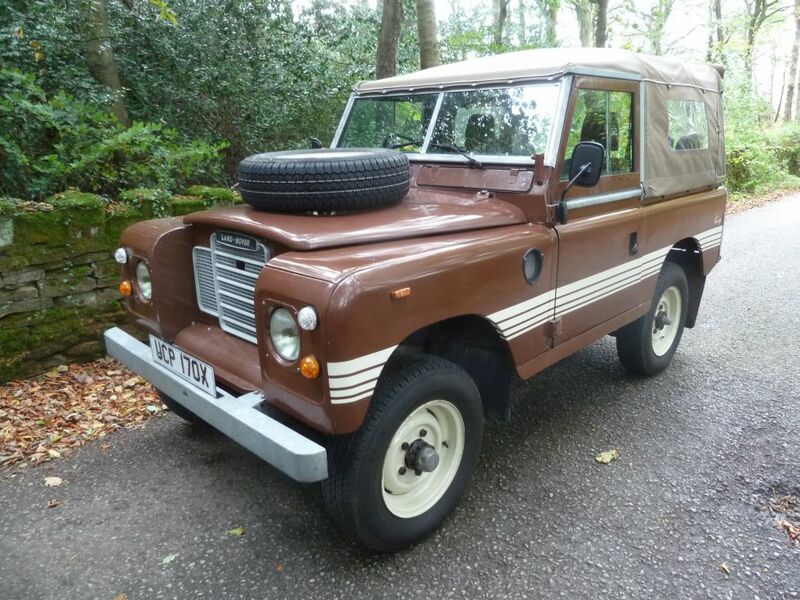 This Land Rover was originally a genuine factory County Station wagon. Purchased by us way back in 1990 with just 46,000 miles. 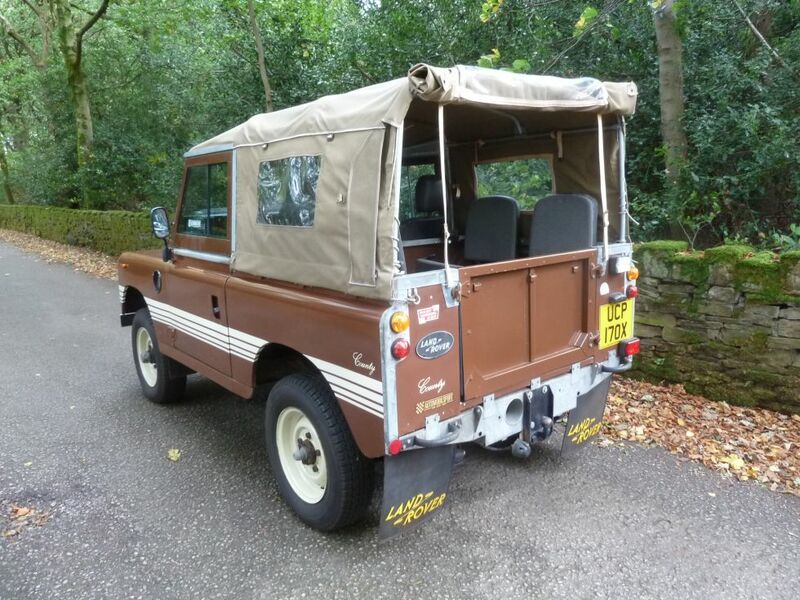 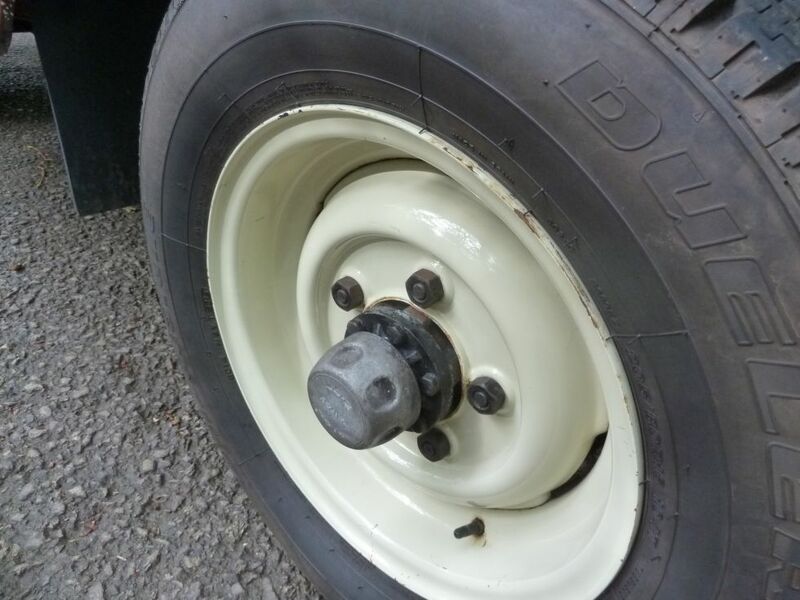 During its life it has had a galvanised chassis fitted, and we converted it to a soft top. 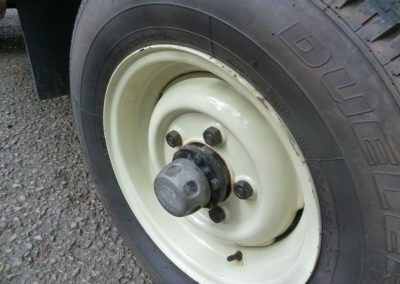 Also benefits from overdrive and free wheel hubs. 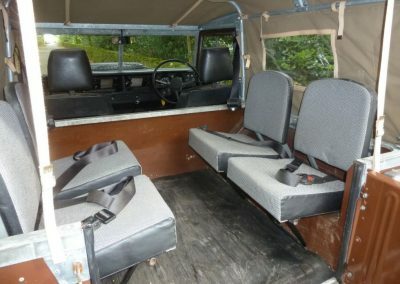 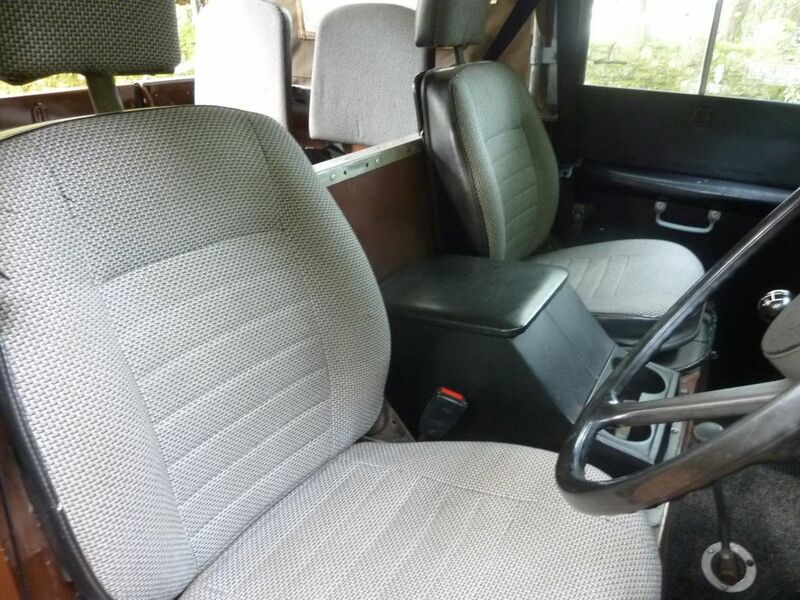 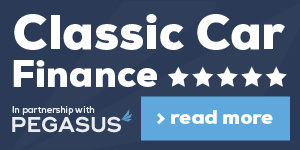 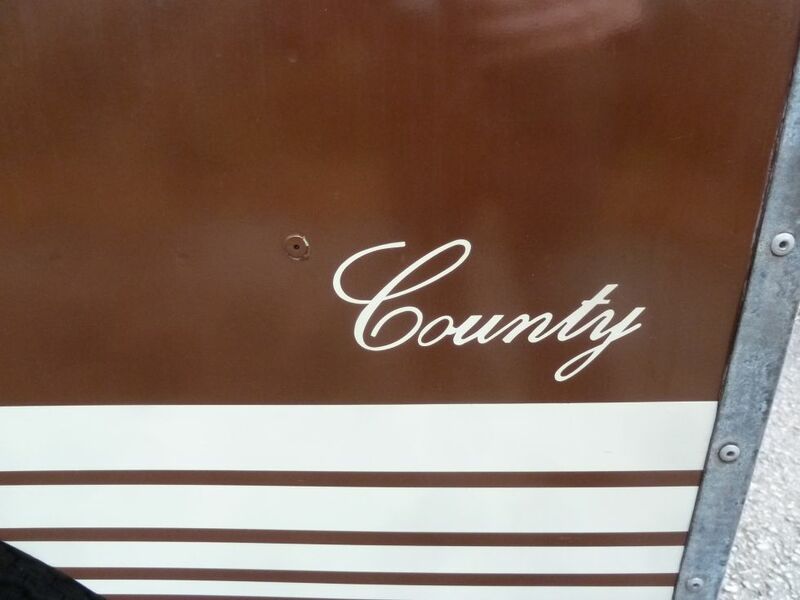 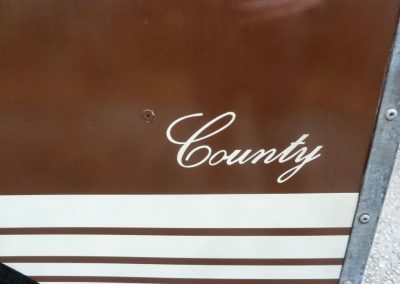 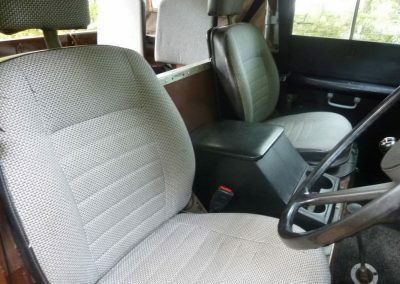 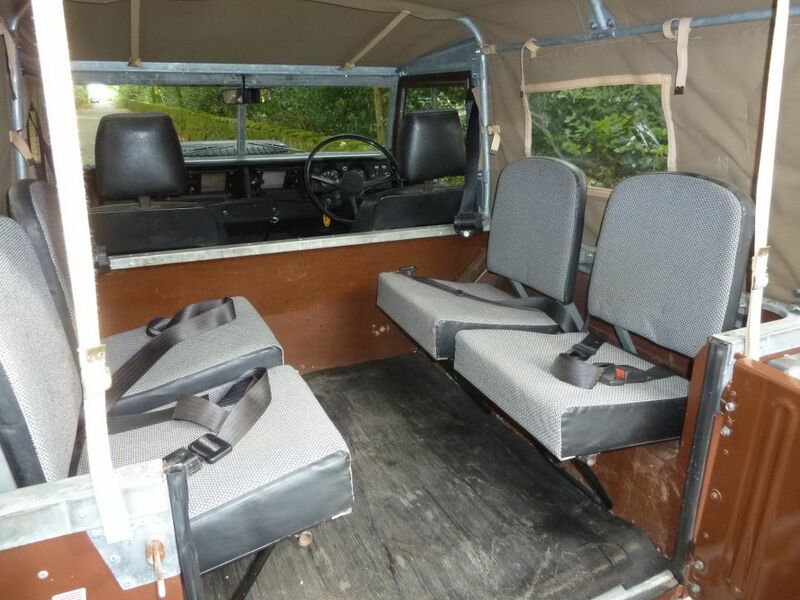 It still sports the 4 x individual tip up rear seats (and seat belts), plus the high back defender style front seats – all finished in Caviar county cloth (as original). 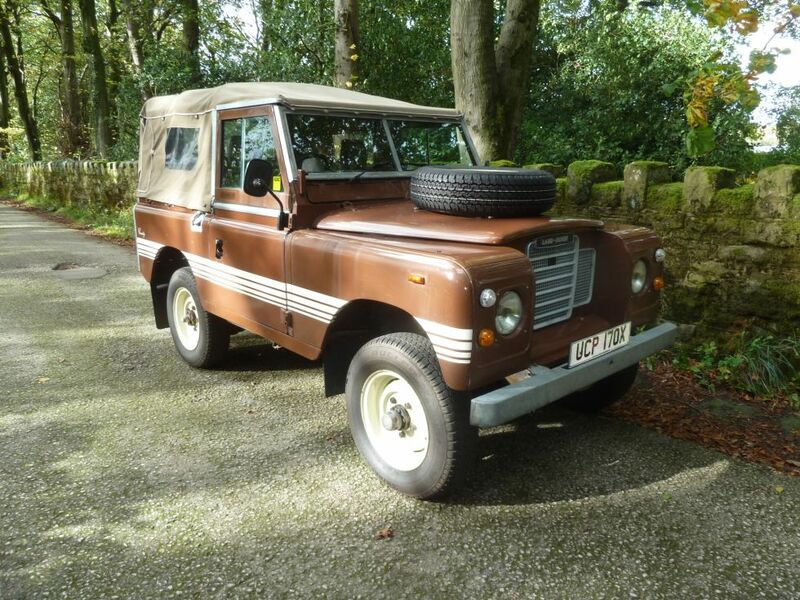 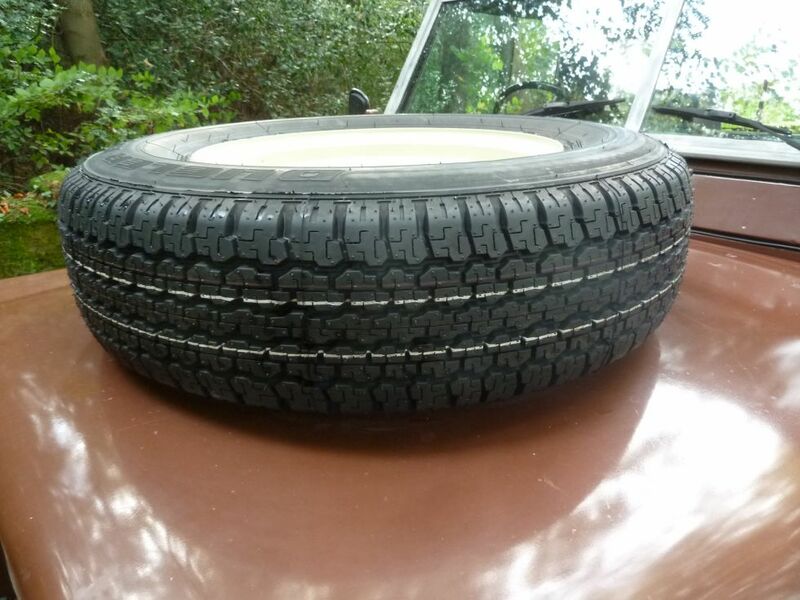 Finished in Russet Brown with sand soft top, and recently fitted with 5 new 205 x 16 Bridgestone radial tyres. 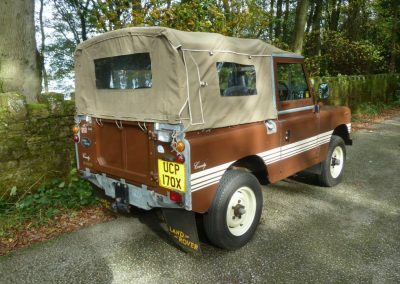 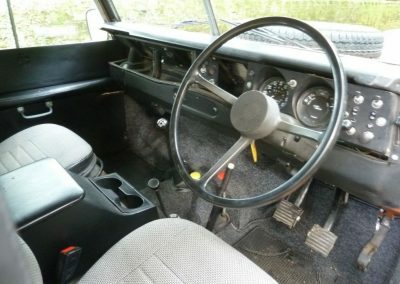 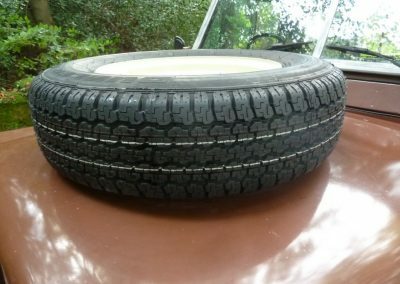 Not a “show Queen” – but an extremely usable Series Land Rover, with the benefit of a “built to last” galvanised chassis. 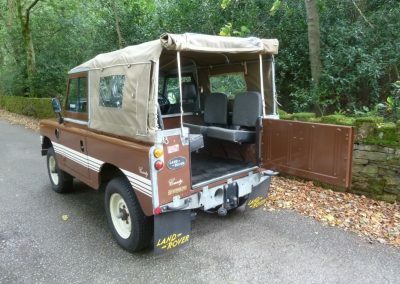 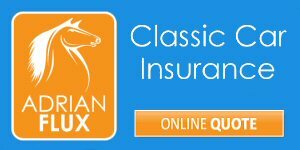 Spread the cost of your Land Rover !